Through a diverse programme of films focussing on themes of landscape and open spaces, The Brunton explores John Muir’s legacy of engagement with the Natural World as part of the John Muir Festival 2014 Thu 17 – Sat 26 April. 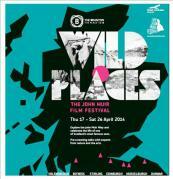 WILD PLACES is a festival of films celebrating John Muir’s legacy, presented by The Brunton working in partnership with other cinemas along the John Muir Way, the new national coast to coast pathway. The Festival reflects Muir’s passion for wild places and the environment and celebrates all of the talents of this extraordinary Scotsman – as a naturalist, writer, artist, explorer and founder of the modern conservation movement. Screenings at The Brunton are accompanied by a series of pre screening talks with experts from nature and the arts including: Countryfile’s Tom Heap, stand up comedian and mountaineer Andy Kirkpatrick, Creative Scotland’s Scott Donaldson and Edinburgh Makar Ron Butlin. The films exploring themes of the natural world include: The Last Explorers – John Muir, The Edge of the World, Baraka, Grizzly Man, Into The Wild, Chasing Ice, Over The Hedge and John Muir – The Schools Film Premiere. (Full listings below). Films are also screened at: Lomond School Helensburgh, macrobert Stirling, Hippodrome Bo’ness, Filmhouse Edinburgh and Dunbar Film Society at West Barns Village Hall.